Otaku Janai Ne? : It Is No Longer Unofficial: Hikounin Sentai Akibaranger Season 2 Officially Announced!!!!!! It Is No Longer Unofficial: Hikounin Sentai Akibaranger Season 2 Officially Announced!!!!!! It seems that all of the "unofficial" rumors are now "official"! See what I did there lol? 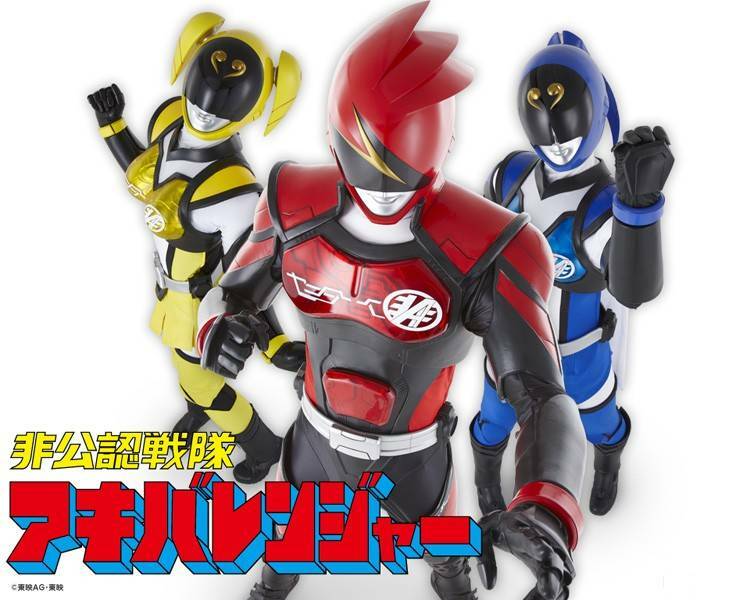 Toei announced earlier today that there will be a second season of Akibaranger. This is an exciting day for fans of this Super Sentai spoof. What makes this so exciting, you ask? Read on and find out. After the end of Kaizoku Sentai Gokaiger, I personally felt a void after seeing the promos for the (then) upcoming series Gobuster. Something about it just wasn't grabbing me. After coming from an epic series like Gokaiger, I was a renewed Sentai fan and wanted to see something that could stand equal to the series that I had just finished. Needless to say, I gave Gobuster a chance, much like I had done years before with Go-Onger after finishing Gekiranger. As I expected, the series just wasn't grabbing my attention. I thought that all was lost until one day TV-Nihon announced that it would most likely be subbing an unofficial Sentai. Unofficial? Blasphemy! There story starts in Akihabara; a district of Tokyo known for its unique culture focus around anime, manga, video games, and other electronics. It is the legendary land of maid cafes and otaku culture that the Akibarangers have sworn to protect. The main character is a 30 something year old Sentai fan. I personally find this guy to be awesome and downright hilarious. Without giving too many spoilers, the show focuses on the Akibaranger's quest to become recognized as an official Sentai. This is just my opinion, but Akibaranger was way more entertaining than Gobuster! I mean....I WAS HOOKED AT THE THEME SONG. It has a video game/cartoony sound to it, which I love. It sounds like something straight out of Akibahara. The first episode alone is full of Sentai jokes, references to other series, and is just plain funny. I loved it from start to finish. This series definitely stood out more than Gobuster. It honestly felt a bit like a continuation of the spirit of Gokaiger through the use of references and paying homage to previous Sentai series. I would strongly suggest checking out Akibaranger. Meanwhile, I'll be anxiously awaiting season 2! Also, as a treat, here is a Youtube Video of the Akibaranger opening theme!